June 13th, 2013 By: GGT Category: 2013/11 release, Figure News. 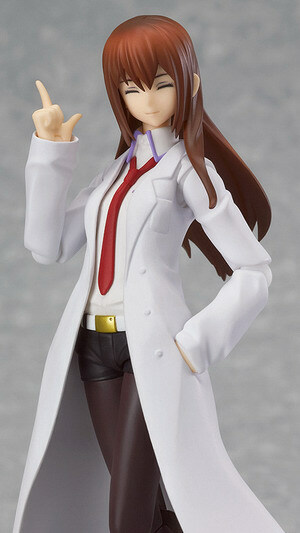 Max Factory is going to release the figma 195 Makise Kurisu ( 牧瀬 紅莉栖 ) White Coat Ver. ( 白衣ver. ) 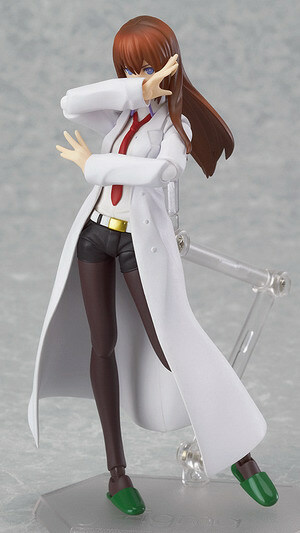 action figurefrom the visual novel/anime “Steins;Gate” (シュタインズ ゲート). Will be released in November 2013. Around 140mm tall, 3,620 yen. 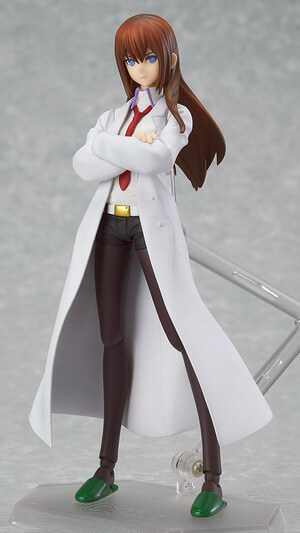 The ‘hypothetical science adventure’ game “Steins;Gate” has recently had a sequel and movie version released, and from that series comes a figma of Kurisu Makise wearing her white lab coat! She comes with a rather intense glaring expression, an expression with closed eyes and an embarrassed expression. 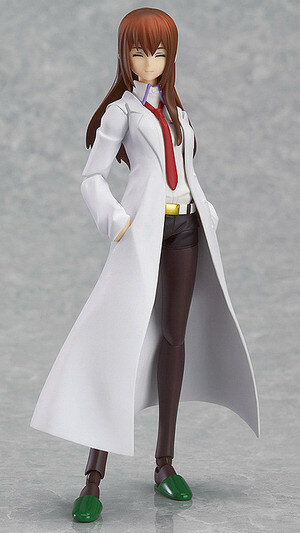 Parts to pose Kurisu with crossed arms or with her hands in her pockets are both included. 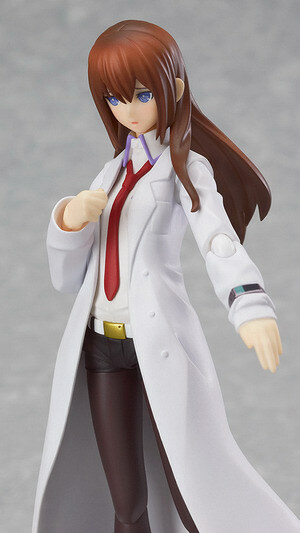 An arm with Mirai Gadget #12 ‘Darling no Baka’ is also included. Her slippers can be taken off and put back on whenever you like.